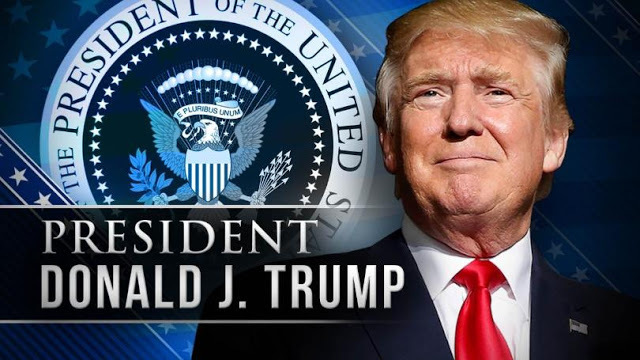 They said it couldn't be done, but Donald J. Trump was elected. WASHINGTON — President Trump will seek to "hire the best and fire the worst" federal government employees under the most ambitious proposal to overhaul the civil service in 40 years, officials said. The measures will be outlined in the budget plan that Trump will send to Congress Monday, said four Office of Management and Budget officials who spoke on condition of anonymity because the budget hasn't been released. Trump foreshadowed the proposal in a line in his State of the Union address last week: "Tonight, I call on Congress to empower every Cabinet Secretary with the authority to reward good workers and to remove federal employees who undermine the public trust or fail the American people," he said. "While to some people those are code words, they’re very clear to us," said American Federation of Government Employees President J. David Cox, who represents about 700,000 workers for the federal government and District of Columbia. "Basically it wipes out due process rights for employees." Under the current system, federal employees get a review every one to three years. Employees whose performance is "fully successful" — as 99.7% are — get a within-grade "step" increase in addition to annual cost-of-living increases. Trump's plan would stretch out the amount of time it takes to go from step 1 to step 10 from 18 years to 27 years, saving $10 billion over the next decade, officials said. That money would then go to high-performing employees either as merit raises or one-time bonuses. Federal employee unions fear the pay-per-performance plan would be used to reward loyalists and discriminate against women and minorities. "He seems to be interested in political revenge by firing people," Cox said. "The government is not a family business that you get to be in total control of." Some of Trump's proposals can be done administratively, and others would take congressional action. Trump's efforts to wrangle the bureaucracy fulfill a key campaign promise of the businessman president, who pledged a hiring freeze to shrink the cost of government and reduce regulation. But even champions of reform are skeptical it will happen. Since President Jimmy Carter signed the Civil Service Reform Act in 1978, every president has tried — to some degree or another — to promote greater efficiency in the federal workforce. And every president has largely failed, running up against an entrenched culture in the bureaucracy, opposition from labor unions and a fickle Congress, said Donald Devine, who was President Ronald Reagan's civil service director. Reagan tried implementing Carter's reform law, but ran into resistance from Congress. Trump administration officials say Devine's work has inspired their efforts, but they weren't popular at the time: Newspapers gave Devine nicknames like "the Grinch," "the Rasputin of reduction in force," and "the terrible, swift sword of the civil service." He served four years as director of the Office of Personnel Management but withdrew his re-nomination in 1985 amid congressional opposition. "You get bogged down, the unions keep threatening you, they get Congress so upset," Devine said. "All the presidents, after a while, give up and forget about it. Some of them make it worse, some of them do a little better." And while he credits Trump for taking on the issue with new enthusiasm, he said the real estate mogul and former reality television star will soon learn it's harder to fire people in government. "Optimism is not my middle name, especially when it comes to the civil service," he said.